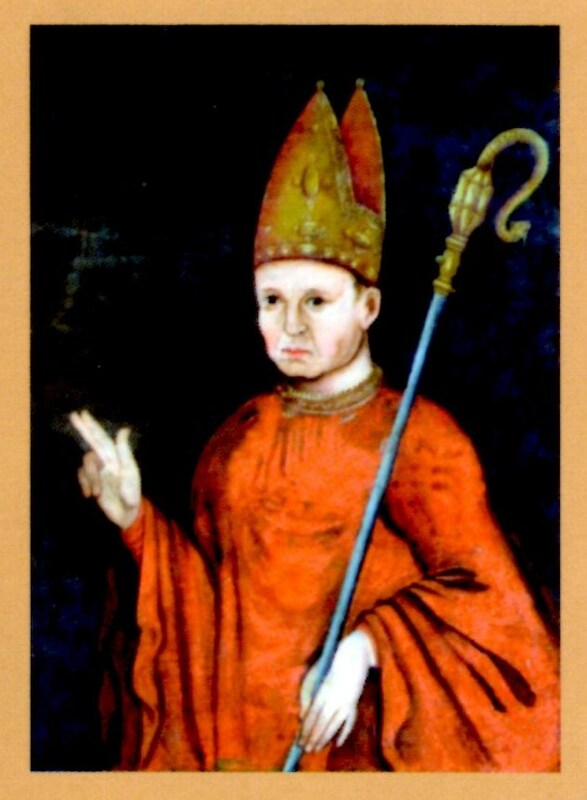 Hugh Foliot was Bishop of Hereford from 1219 until his death in 1234. He founded St Katherine’s Hospital with two charters, one in 1231 and another 1233. Edward Cowper was Master of St Katherine’s twice; the first time was from 1562-74, during which time he was praised for his care of the almsfolk, he even supplied them with a livery (uniform), long before the Coningsby Hospital, in Hereford, was founded in 1614 and their red coats designed in 1618. He also began renovating buildings on the site. However this was during a difficult time and he eventually resigned. 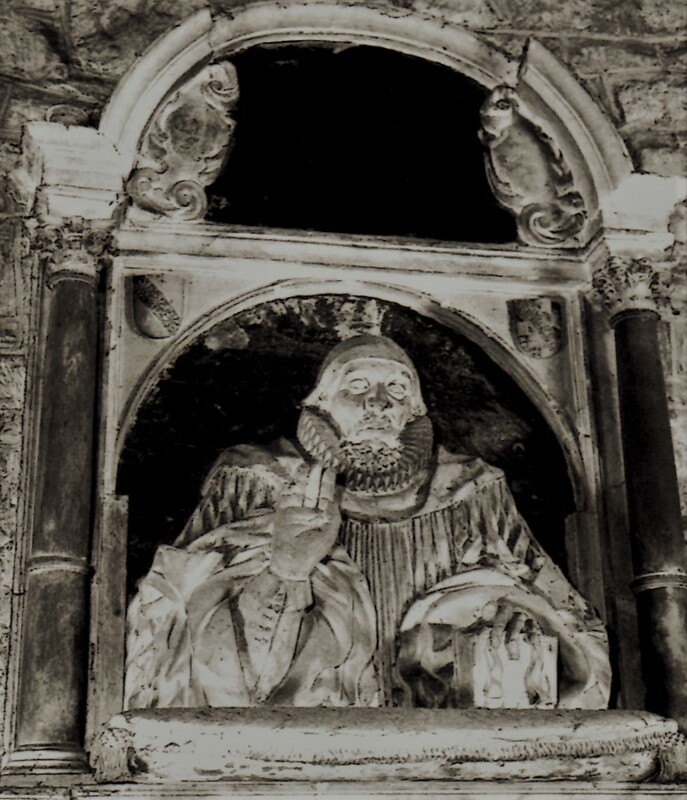 During his second term of office 1580-1596 he was also treasurer of Hereford Cathedral and Master of St Ethelbert’s Hospital in Hereford, from 1583 as well as Rector of Stoke Edith. He was a very busy man. When he died the inventory of his possessions, which is held in the Cathedral Archive, was in three parts, the first of his possessions at the Master’s House in Ledbury, then those at Stoke Edith finally at his house in Broad Cabbage Lane, now Church Street, Hereford, which included such items as weapons and a close-stool. Edward Cowper kept detailed accounts of all the renovations at The Master’s House between 1584 and 1595. He recorded the names and trades of the craftsmen, their wages, and the quantities and sources of the building materials and their cost. It is unusual to have such complete records for building work that was carried out more than 400 years ago. These accounts give us a fascinating insight into the work of Tudor craftsmen, and how The Master’s House came to be the way it is today. Thomas Thornton was master of St Katherine’s from 1612 until his death in 1629, when he was buried in the church here in Ledbury alongside his wife Elizabeth who had died in 1627. He was a great scholar and bibliophile, remembered for his work on the Hereford Cathedral library. It was he who designed and largely paid for the chained library in Hereford Cathedral, today housed with the Mappa Mundi in the new library building at the end of the south cloister. 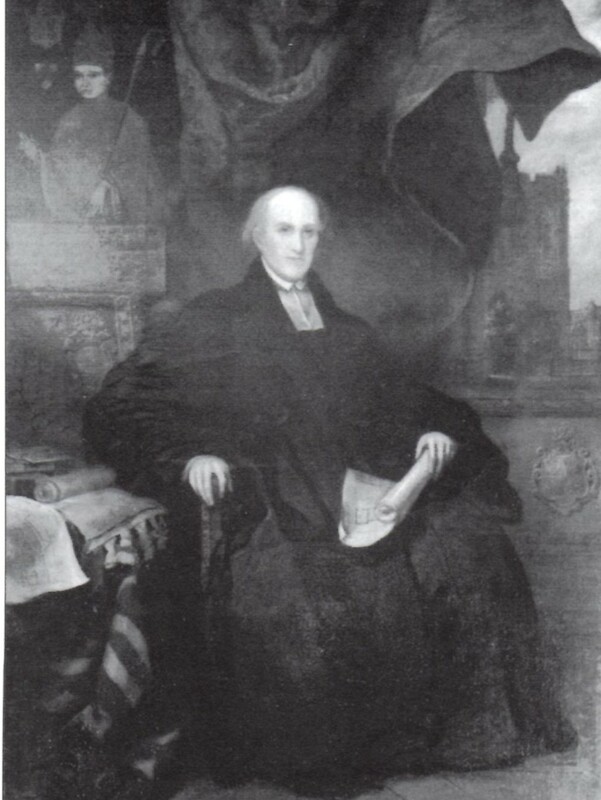 John Napleton was born in 1739, his father being the vicar of Pembridge, Herefordshire. He was educated at Brasenose College, Oxford and remained there as tutor until 1777 when he became vicar of Tarrington and rector of Wold, Northamptonshire. When the bishop of Oxford was translated to the see of Hereford, he called on Doctor Napleton to be his chaplain. 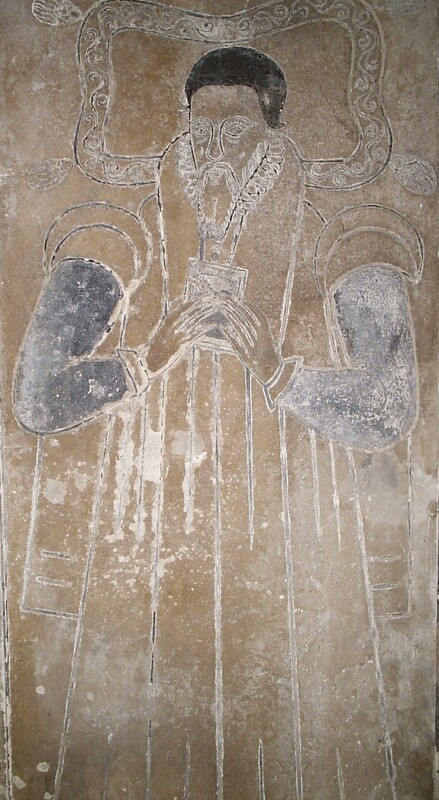 John Napleton then became rector of Stoke Edith and vicar of Lugwardine. During John Napleton’s tenure, the cat-slide roof at the east end of the Master’s House, in part shielding the east-end courtyard there, was removed so that a new two storey high entrance and staircase could be inserted, and the roof aligned with that of the service wing ridge during this time, which filled the courtyard space at the east end of the Master’s House, shown on a plan of 1798 but no longer there on a plan of 1817. John Napleton had found St Katherine’s full of problems because of an ongoing lawsuit about removing the Butcher Row from the High Street. He spent the hospital’s money, which had been carefully saved to rebuild the almshouses, to buy up some of the slum properties which needed to be cleared, before the much needed enlarged almshouses could be rebuilt. Having spent all the hospital’s money, Master Napleton began using his own money to buy up properties, but he died in 1817 and his widow was left in penury. As a result she was forced to sell up the contents of their home in Broad Street, Hereford and of the house at Stoke Edith too. However, she was later refunded the money he had spent, as stipulated in the 1819 private Act of Parliament relating to the rebuilding of St Katherine’s almshouses. John Napleton has an entry in the Oxford Dictionary of National Biography, which carefully makes no mention of this financial problem. From 1817 to 1867 there were five masters at St Katherine’s, during the period when almshouses were rebuilt, George Cope 1817 – 21, Thomas Underwood 1821 – 39, Henry Charles Hobart 1839 – 44, Hugh Hanmer Morgan 1844 – 61 and Richard Dawes 1861 – 67.